Law of Attraction Magnet to Achieve Success. QuWave 'Money MAgnet"
QuWave "Law of Attraction / Money Magnet"
The QuWave "Law of Attraction Magnet"
might just be your answer! It's like a Lucky Charm on Steroids! Get the "QuWave Money Magnet" NOW and you too can achieve your deepest desires and be a success ! Make the “Like Attracts Like” principle work for you, and become the master of manifestation! 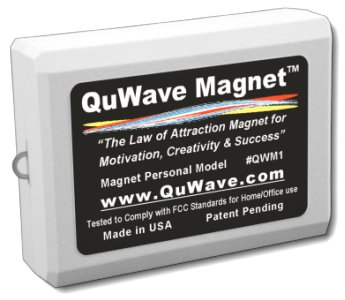 The QuWave Magnet makes all aspects of the Law of Attraction work better and faster. It helps you achieve Success, Happiness, Wealth, and Health. It does this by generating Scalar Waves combined with Solfeggio Frequencies tuned to stimulate specific Chakra Energy centers of your body. We have discovered the Solfeggio Frequencies which energize your Chakras and the Brain to help you succeed in life. Solfeggio Frequencies to Energize your Creativity !!! • Do you ever wish for a Aladdin's Lamp which could provide you anything you want? • Does money flow into your life easily or do you struggle? • Do you wish to have a life of abundance or are you are turned off by it? • Do you end up with hopelessness most of time because your expectations are not met? • Do you continuously come across negative people, events or circumstances? • Do you feel life is a struggle just to make ends meet? • Do you remember last time you made a goal to become happier? • Do you wish to have a dream car? • Do you wish you could fire your boss? • Are you doing the job you love to do? • Do you wish to find a soul mate who loves you, cares for you and supports you? • Do wish to be the master of manifestation? • Do you dare to be creative? • Do you dare to open up to a life full of infinite possibilities? • You will begin experiencing Synchronicities (coincidences related to what you want to manifest). • Suddenly, you will notice everyone and everything wants to help you to get what you desire. • People and places are suddenly accommodating to your desires. • Your Reality starts shifting into possibilities. 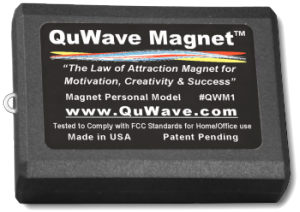 This QuWave Magnet is engineered to generate special Solfeggio Frequencies to achieve a specific result to “Help you visualize and attract anything you want in your life—make ‘like attracts like’ principle work for you”. Now you don’t need to listen to positive affirmations or hypnosis scripts every day and wait for months until they get absorbed into your subconscious mind. This product is designed in such a way that it helps to optimize your brain, body, and bio-energetic system so that you can make your New Year’s Resolutions come to fruition. When you get the QuWave Magnet, keep it with you at all times, and you will visualize your desired things, you will without doubt attract the things you really want to have. Lots of folks out there made more money, someone out there got his or her soulmate, and someone out there lost weight. Why not you? And why rely on somewhat tired inspirations when science can offer you the answers that you have been looking for. Yes, QuWave Magnet works scientifically. It helps you reach your goals in a way that you have never tried before. • Stay focused on what you what: Many people are unconsciously focused on what they do not what. For example: If you want to lose weight, there is a background voice in head saying “Don’t snack”. If you want to make more money, there is a background voice “Don’t spend.” When you are under stress, your mind cannot process “Dont” and it makes it happen what you don’t want. 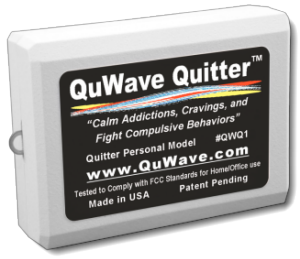 QuWave Magnet prevents you from thinking and behaving what you do not want. • Heal Money Karmas: Many of us are taught to spend less, save more, that your security comes from your bank balance, that you can’t afford it, don’t spend money on others or you will go in debt, money doesn’t grow on trees, earning more money needs a lot of hard work, etc. Having been exposed to these beliefs over and over again, we have become the function of these beliefs. When it comes to spending money, bank balance, seeing other rich people, etc, we come up with a sense of fear and scarcity. Solfeggio Frequencies and Scalar waves of QuWave Magnet helps to heal the money karmas completely and support us in manifesting the greatest shift possible in freedom, consciousness and wisdom around money. And we are able to radiate a consciousness of generosity and prosperity which makes us magnetic to abundance of money. • Activate overlapping brain regions when you visualize. • Connects your heart with Divine Matrix in the language that Divine Matrix recognizes; so that you can easily manifest your feelings into physical equivalent. Health, wealth, beauty and happiness are not created, they are only manifested by the arrangement of your mind that is by your concept of yourself. And the concept of yourself is all that you accept and consider as true. There is level of awareness within you that you are probably unaware with. It extends upwards and transcends the ordinary level of consciousness that you are most accustomed to. At this higher plan of existence which you and every human being can access at will, the fulfillment of wishes is not only probable - it is guaranteed. Manifestation is real and it occurs when you make a specific decision to change your mind about who you are and what is possible for you to achieve in your life. Since the second half of gestation period till the right moment, you have been subjected to cultural, social and religious conditioning designed to help you be content with living a normal life at the level of ordinary consciousness, which generally means accepting whatever life hands you. In many ways, you have been programmed to believe you do not have the wisdom or ability to manifest your wishes and desires. In physiological or neurological terms, we can say your brain is wired and programmed to believe that can not create something miraculously. • Money doesn’t grow in trees. • Only rich people can have luxurious life style. • Wealth and happiness can not be created, it’s luck. • Bill Gates, Warren Buffett and Oprah Winfrey are there only by luck. • I am ordinary and it is not possible for me to approach the lifestyle they live. • It is hard to have a dream car. • The world is full of nasty people so I can’t live happily with them. • There is no way to change my entire life in few days or months. • God doesn’t love me that much so he doesn’t offer me good things I desire. Quantum Physicists have recently proved that the observer affects what is being observed. In other words, your beliefs affect what you observe. Your thoughts arise out of your belief system which was programmed earlier in your childhood. These thoughts can be either empowering or disempowering. Your brain is most powerful processor in the world. It contains billions of neurons which generate powerful electrical activity. Your thoughts are frequencies which come from electrical activity of your brain and move past your physical body and travel distantly in the universe. This concept may seem weird to you if you are rational thinker. Magnetoencephalogram (MEG) is latest machine to measure brain electrical activity. Unlike older Electroencephalogram (EEG), its electrodes are kept few inches away from the skin of head and still it measure brain’s electrical activity. In Few experiments of measuring brain’s activity with MEG, volunteers were asked to think thoughts of love, abundance and happiness. During this time, graph measured the peak of frequencies. Later same volunteers were asked to think thoughts of hatred, jealousy, lack and worry and this time graph measured the downfall of waves. You probably have seen the movie “The Secret” which is all about the law of attraction which states “Like Attracts Like.” In simple terms, what you think most and feel most, creates a vibration in your being which impacts the whole universe around you, and as a result, physical things change - people, circumstances and events whose vibration match your vibration are drawn to you. Psychologists have shown that 95% of our everyday behavior happens at a subconscious level based on our childhood conditioning. This means it happens below our level of conscious awareness, it is an automatic programmed response like the programming in a computer. It is important to realize that 75% of beliefs in the subconscious mind of an average individual are negative - fear, stress, jealousy, anger, hatred, and separation. We can say out of 95% of our automatic or habitual behavior, 75% is that of fear and stress. In such a state of mind, without external guided action, there is no possibility of attracting desirable people, circumstance and events. 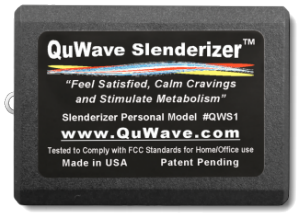 The QuWave Magnet helps you to literally live your 95% habitual behavior more positively with peace, love, and joy. And as a result, you attract good things into your life automaticelly and effortlessly. Anatomically, the Solfeggio Dignals produced by the QuWave Magnet help to establish connection between left and right hemispheres of the brain. It helps synchronize both hemispheres of brain to increase focus, creativity, motivation, and awareness to what’s in front of us. Throat Chakra is the fifth chakra and it is the first of higher or spiritual chakras on the “chakra ladder.” This chakra is located in the region of neck and shoulders and its color is blue. The gift of this chakra is accepting your originality, expressing your authentic voice and speaking the truth. The energy of this chakra allows you to seek knowledge that is true, beyond limitations of time and space, beyond cultural and family conditioning. The main challenge for Throat Chakra is doubt and negative thinking. QuWave Magnet helps you remove your doubts and negativity. Throat Chakra is the center of “Higher Creativity”. The "way of the Throat Chakra" is the way of inspired creativity, seeking and sharing of the truth. It is the way of standing up for what you believe, saying no when you need to, and being open and honest in what you say. Being the center of creativity, the Throat Chakra has immense powers of creation. In its fully active and awakened state this chakra would give you amazing powers over your reality and your future. In fact the inter-dimensional forces that connect with this chakra have the power to create anything and are the forces from which the Universe is created. Even if you speak negative words or feel negative emotions, the Throat Chakra would materialize them in physical form if it was fully activated. But technically, we have added Love frequency (531 Hz) in QuWave Magnet along with 741 Hz (Frequency of Throat Chakra). Love frequency help you stay in loving state and speak truth. Thus, you only attract those things you love most. Dr Srini Pillay, M.D, Psychiatrist/Professor at Harvard Medical School, has conducted hundreds of brain imaging studies which show conclusively that the LAW OF ATTRACTION is real in our brain. We can activate this part of the brain to obtain our desires through the acts of visualization, meditation and spirituality. Scalar Waves produce a secondary field by motion of subatomic particles interacting with Human Aura. These waves can travel far faster than the speed of light and encode the information of space and time into a timeless, space-less quantum of interference patterns. They can directly interact with your brain energy producing amazing beneficial results. QuWave Products generate these Scalar Waves combined with Solfeggio Frequencies to stimulate your brain and to produce specific results. Solfeggio frequencies are a set of musical tones that were used centuries ago in Gregorian and Sanskrit chants. These chants contained special tones which were believed to impart spiritual blessings during religious ceremonies and used for healing purposes. but the precise tuning, the technique and the knowledge about their healing properties were somehow lost over the ages. The Solfeggio frequencies have specific healing associations as they interact with the vibrational energies of the human body. All six Solfeggio frequencies have been analyzed by physicists and musicians. All agree that they constitute a unique interrelated series of mathematically derived electromagnetic sounds. Each sound frequency has special mental, physical, emotional, and spiritual healing properties. Recent studies show that these frequencies are part of a process that can assist you in manifesting a life of your dream without stress, illness, and sickness. It is also discovered that the Solfeggio frequencies are more powerful than any other sound frequencies. There are many miracles within us, but they do not manifest, they are hidden behind locked doors. With QuWave Products, you can unlock and open the doors to these hidden powers. The special Solfeggio Frequencies delivered by our products can align you with the rhythms and tones that form the basis of the Universe. 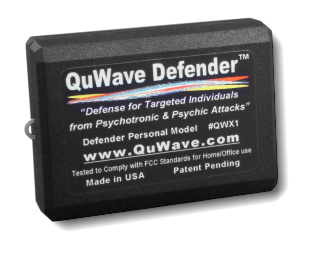 QuWave Products generate a Solfeggio Frequency Bio-Field which when exposed to an individual can deeply penetrate at the cellular level into the brain and resonate with natural frequencies of the Chakras. Thus they begin to vibrate at their natural frequency and thus are activated and subsequently a connection is established with Central Nervous System. In other words, the specific Chakra Energy inside us is awakened and connected with our five senses and we are able to feel beyond sensory perception. All things in this world have their own natural frequency which they are most comfortable with. When something is subjected to an external force, that object wants to resonate (vibrate) at its specific frequency - the frequency that is natural to the object. This phenomenon manifests throughout the universe. This natural frequency of a Chakra is known as its "Resonant" frequency, and the phenomenon is known as "Resonance". 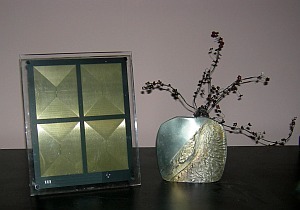 QuWave Products generate specific Solfeggio Frequencies which resonate with their specific Chakra energy points. This will re-energize the Chakras and align them properly. How to use the "Law of Attraction Magnet"
The unit generates a field which is about 8ft in diameter, but, the closer you are to the unit, the stronger the scalar waves will be, and thus the positive effects will be stronger. The unit is designed to enhance your normal Law of Attraction rituals, affirmations, and meditations. For desired results, you need to be within the field of the unit while you perform your normal Law of Attraction rituals. Carry it in your pocket, purse, briefcase, wear it as a pendant, or on your belt or place it near you when you work/sleep/relax. Unit comes with a neck-strap lanyard so you can wear it as a pendant, and a protective carrying pouch to protect it when you carry it in a pocket, purse, or briefcase. Many customers wear the unit in a pocket or clip it on a belt holder. You will find that many cell phone belt clip-on cases will fit this unit very well. You can also place the unit anywhere in your home where you meditate or where you dream and plan your life. Many claims have been made by the users of QuWave Law of Attraction Magnet. The most common effect is hopefulness with heightened excitement about desired things. Others have reported much sharper mind; identifying and taking part in the opportunities which are often ignored by majority of people. Many people who were struggling financially found new ways to make sufficient money without hard work and stress. Others who didn’t like their job found their dream job and few were promoted to top management. And many achieved extraordinary results out of their current job/business. Some people claim it is working like Aladdin’s lamp and helping them achieve extraordinary positive results like magic. Please be reassured we are not just making claims. The only way you can know what kind of miracle it can make for you is to try it for yourself. And, you have nothing to loose with our 30 day 100% money back guarantee. Please do not think negatively about this product or consider it a pop-up psychology until you really try it for yourself. After using QuWave Magnet, I feel I am a magnet now to only good things. J.H, Indiana. How long does it take for the QuWave Magnet to activate motivation and success areas? I have been doing meditation and visualization exercises for past few months. Can the attraction process be accelerated for me now? Yes, this is exactly the purpose of the Magnet. We highly recommend customers do visualization and affirmation for what they want while having the Magnet on them. In this way you can manifest things much faster with less meditation. Can I keep the Magnet in my bag with me while I am outside? Yes you can. But make sure the unit is within 5 feet of your body. How do I know the QuWave Magnet is working for me? When you get the Magnet and use it for few weeks to few months, you will notice new opportunities and coincident in favor of your desires. Remember to acknowledge the opportunities as this will further increase your vibration and connection with the Universe. I bought the QuWave Magnet, but I don’t know how to start with. Thanks for purchasing the Magnet. We hope it will bring the desired things in your life effortlessly. To start with, make a list of things you want to achieve in your life. We recommend starting with small things first and begin working on them while the Magnet is on you. And you will soon see that the achievements will begin to materialize much faster then in the past. What is the proof that QuWave Magnet is really a manifesting device? Please read the testimonials and watch videos, and better still, give it a try, as with our unconditional 30 day satisfaction guarantee, you have nothing to loose, and everything to gain. Can QuWave Magnet help me attract my soulmate? Yes you should be able to manifest your soulmate with QuWave Magnet if that is your Law of Attraction goal. But we have a specialized product called QuWave Amore which is designed to activate relationship area in your brain which might work better. Do I need to practice gratitude with the Magnet? 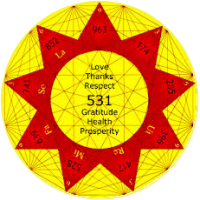 Yes, you should adapt the attitude of gratitude while manifesting your desires using QuWave Magnet. Take few minutes each day and be grateful for all the things you have in your life such as clothes, homes, relationship/family, things, food, etc. What is difference between QuWave Magnet and other company's products that claim that same results? 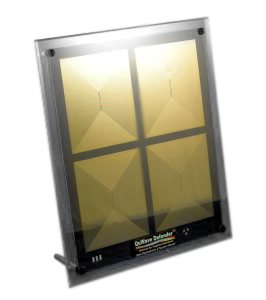 The QuWave Magnet generates special Solfeggio Frequencies combined with Scalar Waves. Solfeggio frequencies were used in ancient times by wizards to practice magic and healing. And the Scalar waves carry these Solfeggio Frequencies directly to your brain. This is what makes our products unique and powerful. When I have achieved what I want to achieve then what should I do with QuWave Magnet? First be grateful for your desired manifestation. We should never stop growing, the desires in our hearts always remain alive. So continue using the Magnet to further your manifestations. The unit has an internal rechargeable battery which lasts for about a week on a charge. It takea 1-4 hours to charge the battery once a week. Can I use QuWave Magnet with any other product from your company? Yes you can. The fields will add to each other and effects will be multiplied. I am 34 years old and grew up with belief that luck is all there is. I have little power over my life as I struggle a lot just to make ends meet. How can QuWave help me? Many people believe we are the function of stars or luck and that we have little control over our lives. Science now proves our thoughts are real substance. What we hold in our mind for long time becomes our physical equivalent. Of course, the QuWave Magnet is a great bridge between where you are now and where you want to go. It can help you create your own life the way you want it to be and give you a sense of control.